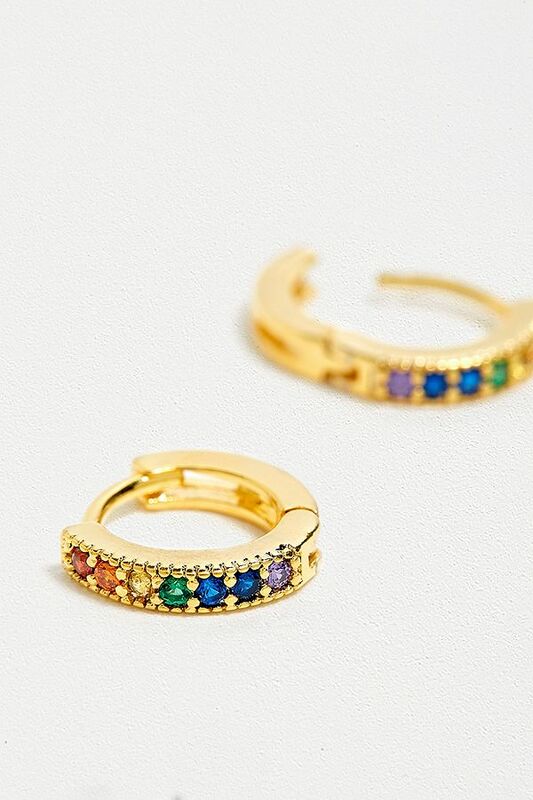 Five And Two Jewellery Dallas Rainbow Gold-Plated Hoop Earrings. SPA-Cart - Single Page Application. Super fast CMS. 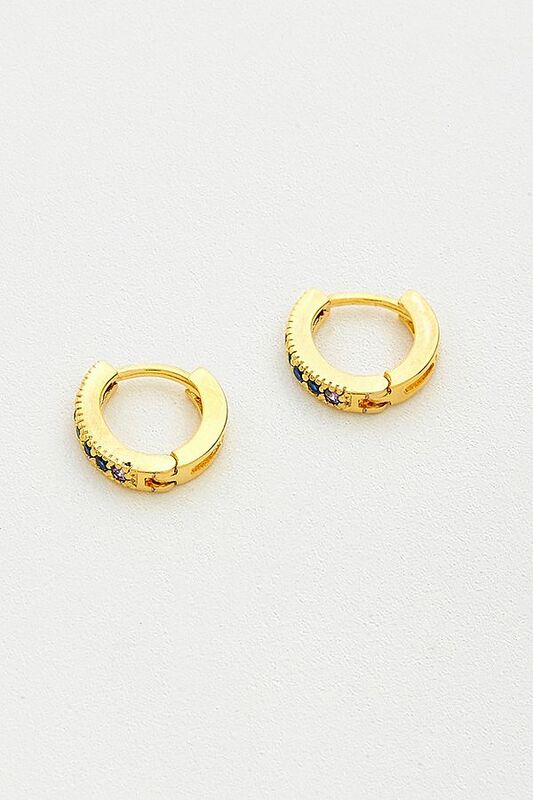 Mini hoop earrings from Five And Two Jewelry. Adorned with rainbow CZ detailing. Complete with a secure clasp closure.